Free and easy to update university textbooks, available in multiple formats? They exist. We’re working on one right now. 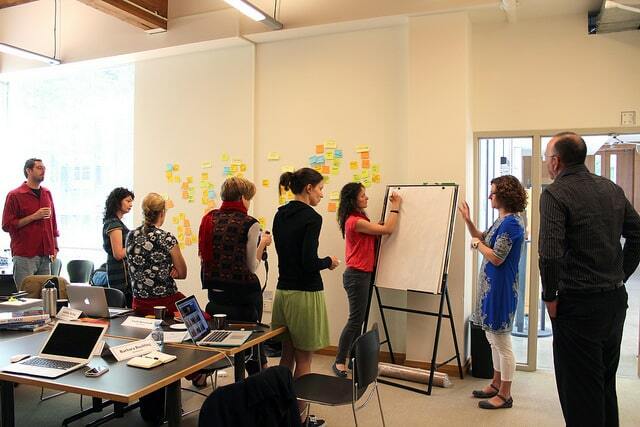 Book Sprint facilitator Barbara Rühling and trainee Faith Bosworth are in British Columbia, Canada, working on the production of a Geography textbook for first year students. The sprint is hosted by BC Campus Open Text Books project who are dedicated to breaking the traditional model of copyrighted textbooks which cost a lot of money for the average student and are quickly rendered out of date, by new editions. Five subject-matter experts responded to an open call for writing the textbook. They are supported by two open education managers and instructional design experts from BC Campus, one illustrator, one programmer, and one librarian. The first morning was spent mapping out the possible structure and content for the book and writing began swiftly after and continued during the following three days. Expect a text book that has a broad interpretation of geography, incorporating political, socio-economic and human elements and focuses on skills like map reading and making and data collection and provides exciting sounding activities for educators and learners to test out. It was only possible for the five experts to cover such a vast range of subjects, each centered around unique case studies, because of the incredible support they received. 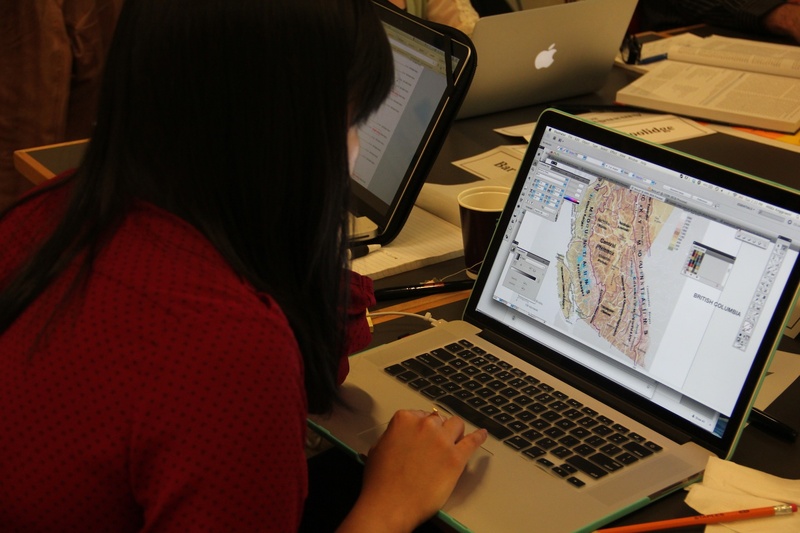 The illustrator created one map after the other, and the two contributors from BC Campus checked the chapters for accuracy, readability, and their instructional design. A very important role, and a first experiment in a Book Sprint, was played by the librarian. Dedicated to the cause of open licenses, he researched countless images, maps, and other materials. With a few phone calls, he was even able to convince some of the copyright holders to change their licenses and to make their material available for the open textbook. Read Open Text Books’ blog post about the first day.